For quite some time, marijuana drug abuse treatment was lumped with treatment for the use of other drugs and alcohol. However, a greater number of marijuana drug treatment programs are beginning to be in use, as the number of people seeking treatment for marijuana addiction increases. Indeed, the percentage of people seeking marijuana addiction treatment has risen from 8.6 percent to 15.9 percent, according to the Treatment Episode Data Set (TEDS). Those seeking help for marijuana substance abuse are, on average, 24 years old. Treating marijuana abuse with medication is a relatively new development. Generally, pharmacological substance abuse treatment has been reserved for "harder" drugs. However, as marijuana has proved itself a difficult addiction to break for some, and as marijuana has become more potent over the last quarter of a century, different medications have been tested for use in treating marijuana drug abuse. Rimonabant is a drug that blocks the effects that marijuana has on the mind ad body. The idea is help make cravings for the drug (this is also being tested with tobacco addiction) more manageable. It is not widely available for marijuana abuse treatment, and is only used in research so far. But it has been tested in Europe and is used for weight loss. Lithium has been used in some cases to control withdrawal symptoms in those with marijuana substance abuse problems. It is considered an anti-stress medication, and can help relieve some of the anxiety and other symptoms that come with quitting marijuana use. There are a variety of methods that are designed to help those with marijuana substance abuse problems overcome their cravings. These behavioral methods have been used with varying degrees of success. Support groups are common in many substance abuse treatment situations. And now, rather than simply sending the person to a common program, there are marijuana specific support groups. It is possible to go to such a support group and receive help in overcoming a marijuana addiction. 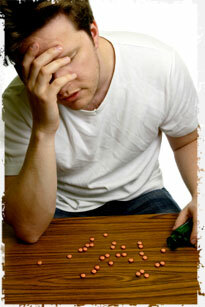 One on one counseling can be very effective in situations of marijuana substance abuse. In these treatment settings for marijuana, a counselor works at an individual level with the addict. Rational reasons for quitting are given. On top of that, the counselor talks with the addict about what to expect when he or she quits using marijuana. This allows the marijuana user to prepare him or herself for the withdrawal symptoms. Additionally, the counselor may help prevent relapse, and offer suggestions of what the person could do. There aren't any specific residential treatment facilities for marijuana use. However, if someone has an intense addiction that he or she is having difficulty with, a detoxification facility may help. This removes the marijuana user from the environment of drug use and helps him or her get clean. And, because residential treatment facilities include medical and psychological professionals, it is usually helpful in terms of preventing depression and other issues from gaining a hold. It is important to remember that marijuana is a gateway drug. This means that the person may be using other drugs as well. And many people who start using marijuana already have a substance abuse problem with alcohol or tobacco. Sometimes, other drugs, like cocaine, are mixed in the marijuana cigarette. It is important to remember that treatment for other substances may be needed in addition to treatment for marijuana use. It can be difficult to stop using a drug, and marijuana is no exception to this rule. You can help your loved one with a marijuana substance abuse problem by showing love and support. You might consider attending a support group for relatives and friends of drug addicts. This can help you gain some important insight. In some cases, it may be appropriate to attend family counseling with the person involved in marijuana use. Another thing you can do is to be there for your loved one with a marijuana substance abuse problem. Be available for chats. Provide encouragement. You can also help by inviting your loved one to do activities with you. This will help him or her take his or her mind of the cravings for the drug. This can be very important. It is possible to overcome an addiction to marijuana. The right substance abuse treatment plan can go a long way in helping someone with a marijuana abuse problem. And it is possible for you to help your loved one get back on the right track in life.